Naledi offers the ultimate, award winning African Safari, with intimate and luxury accommodation within two lodges, in a private game reserve with the big 5, near the Kruger Park in Limpopo. NALEDI is about hospitality – it’s that simple. 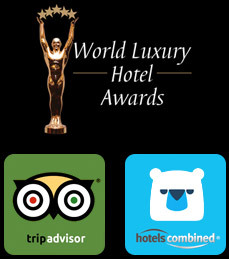 We have a close-to-perfect record of ratings on Trip Advisor and Booking.com (which has awarded Naledi annual scores of up to 9.7 out of 10), and behind this record there lie a host of hospitable touches, from the WELCOME written in petals on your bedspread through to the warm congeniality that suffuses Naledi’s lounges and bar decks. Our culture of hospitality is underpinned by constant attention to detail, world-class staff training, and our melding of colonial and indigenous African ideals of courtesy. 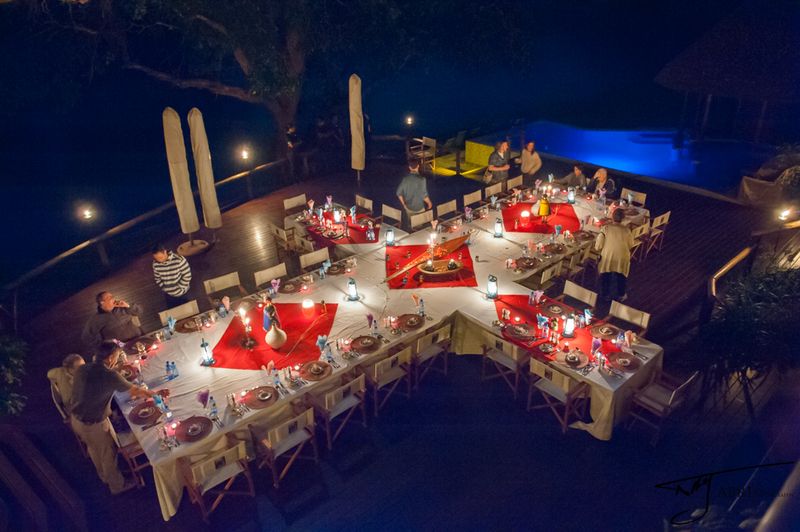 Dining at Naledi is a treat not only for the taste-buds, but also for the eyes and soul. 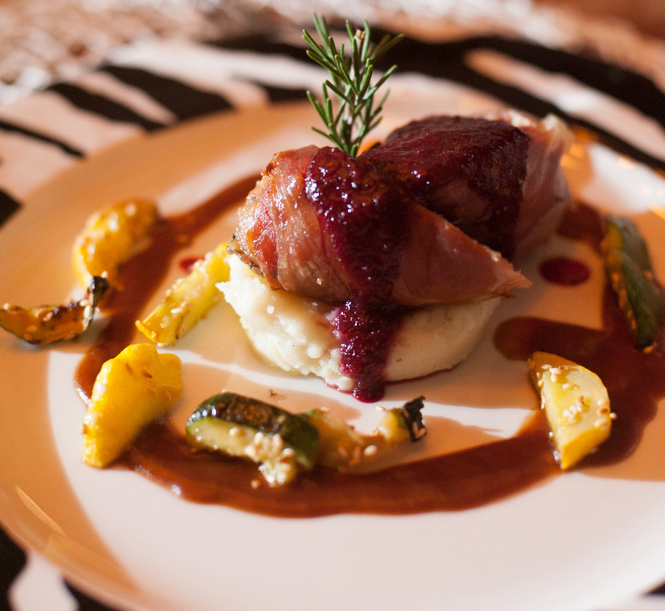 Our chefs and serving staff take enormous pride in the beautiful, individually plated presentation of our cuisine; and meals are served with gracious formality in our atmospheric dining areas – on the viewing decks of Naledi Enkoveni Lodge, beneath a canopy of towering riverine trees; or in the game viewing tower or fire lit boma (traditional African feasting enclosure) of Bush Lodge. Naledi’s cuisine is crafted by dedicated professional chefs who regard every dish as a showpiece for their talents, and take personal pride in announcing their multi-course creations to the assembled diners. We have no routine menus; our dishes range widely across European and African culinary styles, with a frequent fusion of both continents. Ingredients are sourced fresh from local markets, and our salads in particular are noted for their verve and variety. For Halaal or special diets, such as gluten-free and vegan, we take pleasure in ensuring both the integrity and the gourmet quality of your meals. 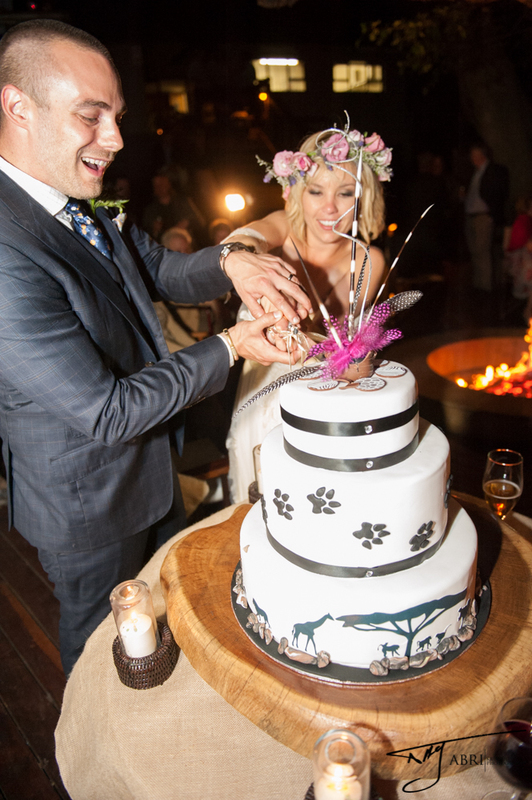 Consider celebrating your Wedding at Naledi, and click here for more. Naledi continues to reach the pinnacle of achievement with major awards in recognition for its world class facilities and service excellence. Error: Error validating access token: Session has expired on Monday, 08-Apr-19 06:50:38 PDT. The current time is Friday, 19-Apr-19 00:29:56 PDT.